Our South Carolina Welcome Center Travel Counselors are standing by to assist you with SC tourist and attraction information, free reservation services, maps, trail guides, discount coupons and much more! 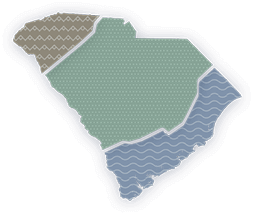 South Carolina Welcome Centers: Your free resource for planning the perfect vacation. Stop in and talk to the smiling faces at our nine South Carolina Welcome Centers. Complimentary services include reservation assistance, attraction discounts, a mail drop for your letters, the AT&T international Language Line and free Wi-Fi. Don't forget to pick up your free Barbecue Trail Map! Newly equipped with state-of-the-art technology featuring the customizable South Carolina Trip Planner, traffic and weather information and exciting itineraries, the Landrum Welcome Center is your first stop on the way to an unforgettable Palmetto State getaway. Located off I-77, the Fort Mill Welcome Center has everything South Carolina. No matter where you're headed in the Palmetto State, you'll find everything you need to know and more. Enjoy free Wi-Fi, hot deals on South Carolina attractions, reservation services and much more at the Blacksburg Welcome Center, conveniently located just off of I-85. Located just off of I-95 Southbound, the Dillon Welcome Center offers free travel planning tools, trip itineraries, golf tee time reservations and everything else you need to plan your SC vacation.